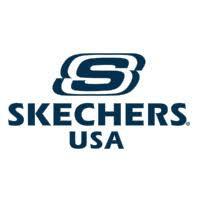 Skechers USA Inc (NYSE: SKX) stock surged over 21% on October 19th, 2018 (as of 10:23 AM GMT-4; Source: Google finance) post an outstanding third quarter of FY 18. Net earnings were $90.7 million in the third quarter of FY 18. SKX in the third quarter of FY 18 has reported the adjusted earnings per share of 58 cents, beating the analysts’ estimates for the adjusted earnings per share of 52 cents. The company had reported the adjusted revenue growth of 7.5 percent to $1.176 billion in the third quarter of FY 18, missing the analysts’ estimates for revenue of $1.22 billion. Sales grew as a result of an 11.8 percent increase in the Company’s international wholesale business, and a 10.6 percent increase in its Company-owned global retail business. Its domestic wholesale business decreased 3.0 percent. The Company’s total international business grew 12.5 percent and its total domestic business grew 1.8 percent. Third quarter comparable same store sales in Company-owned retail stores worldwide increased 1.9 percent, including an increase of 3.0 percent in the United States offset by a decrease of 0.8 percent in its international stores. Gross margins slightly increased as higher domestic margins from improved retail pricing and product mix were partially offset by the impact of negative foreign currency exchange rates. In the third quarter, the Company’s income tax rate was 13.7 percent reflecting its continued assessment of the impact of the recently enacted tax reform legislation. As a comparison, the Company’s income tax rate for the three months ended September 30, 2017 was 9.4 percent. Moreover, during the third quarter, SG&A expenses increased 9.5 percent. Selling expenses increased by 0.7 percent, but improved 50 basis points as a percentage of sales from 8.2 percent to 7.7 percent for the third quarter 2018. The $37.8 million increase in general and administrative expenses was primarily the result of the Company’s continued commitment to build its international brand presence and direct-to-consumer channels. General and administrative expenses in China grew $7.5 million to support continued expansion, including preparation for next month’s Single’s Day, and $13.3 million associated with operating 58 additional Company-owned Skechers stores worldwide, of which 13 opened in the third quarter. General and administrative expenses also included $11.1 million related to corporate and domestic operations, of which $4.8 million was for increased domestic warehouse and distribution costs.